If you are looking for moving experts that can take away all the hassles away associated with moving, look no further than Optimum Moving. Whether you are moving your business or facilitating a long distance move, our professional moving team will take care of everything; we can plan, pack, move, and unpack. There is nothing you need to do while your belongings are transported safely to your desired destination. Millville is a city located in Cumberland County. Millville was also incorporated from parts of Fairfield Township in 1801 and was reincorporated as a city in 1866. Millville is home to Glasstown Arts District. It is a public art center that comes with modern studios and galleries. 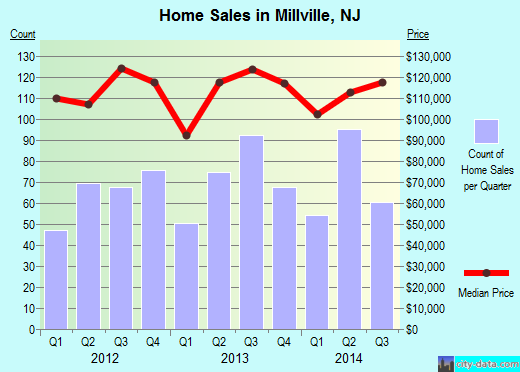 In Millville, the average condo or house costs about $160,680. Close to 60% of the city’s 28,711 population chose to live in the same house for five years on average. A majority of the residents also opted for houses that come with two and three bedrooms. Millville residents who own at least one condo or house have stayed in the same house for an average of 15 years while individuals who rent properties here have been reported to live in the same place for at least one year. At Optimum Moving, we practice a client-first approach and provide white glove service for all types of residential and commercial moves. Since our inception, our moving services have been very well-received in New Jersey and the Tri-State area. Whether you need to move sensitive electronics or big sized items like pianos, we have access to all types of protection equipment and packaging materials to keep them intact during the move. When you move with us, you also never have to go through the trouble of disassembling and assembling your furniture. Our moving team completes those tasks and much more for you! Want to learn more about a Millville Move?